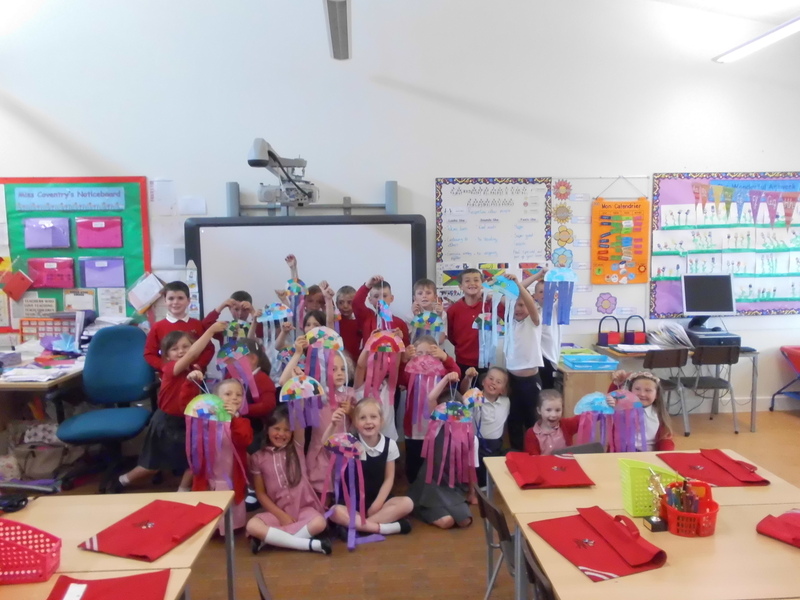 P2C have had lots of fun over the past few weeks learning all about the seashore. We have been looking at ways to sort animals, what food chains are and about the different features that make seashore creatures perfectly adapted to their habitat. 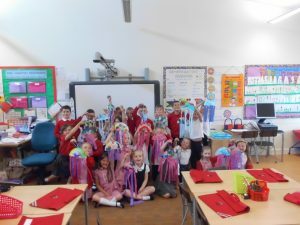 Today we learned about jellyfish and had a go at making our own ones using paper plates and tissue paper. We hope you like them! 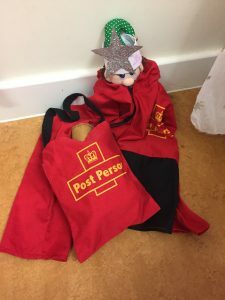 This entry was posted in Uncategorized and tagged P2C, seashore on June 11, 2018 by misscoventry. We have been working really hard this term to learn all about how to keep our bodies healthy. First we considered the food that we eat and how to make it balanced and healthy. We read ‘The Lighthouse Keeper’s Lunch’ and created a healthy lunch for Mr Grinling. Then we looked at ways that our bodies can become unwell with a particular focus on germs. 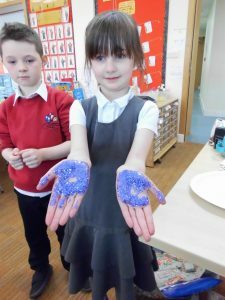 We had lots of fun using glitter to show how easily germs can spread between people and within our classroom. We now know that we need to wash our hands with plenty of soap and have even practised singing the ‘Happy Birthday’ song while we wash our hands to make sure we are scrubbing for long enough. Our glitter germ volunteers found that this was a perfect time to make sure all the germs were removed from our hands! 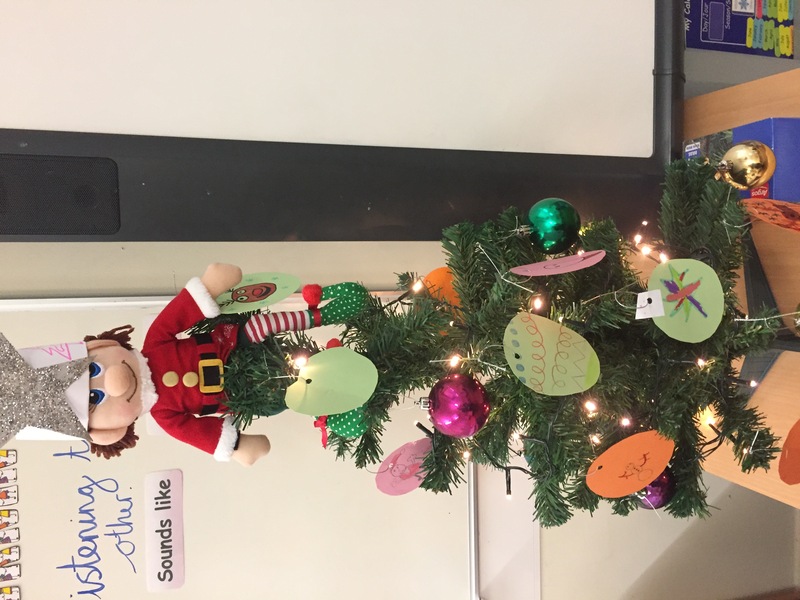 Well done, P2C! Lots of fantastic learning so far this term. Keep up the hard work! This entry was posted in Uncategorized and tagged Health and Wellbeing, P2C on March 19, 2018 by misscoventry. Follow us on Twitter and use #windygoulsnowday to show us all of your snow day adventures! This entry was posted in Uncategorized on March 1, 2018 by misscoventry. I really hope you are all staying safe and warm in this snowy weather. Please find below a few suggested activities for you to choose from to keep yourselves busy today. I would love to see some pictures of you doing some of these, so please feel free to send any you have on Dojo. We can look at them when we are back! 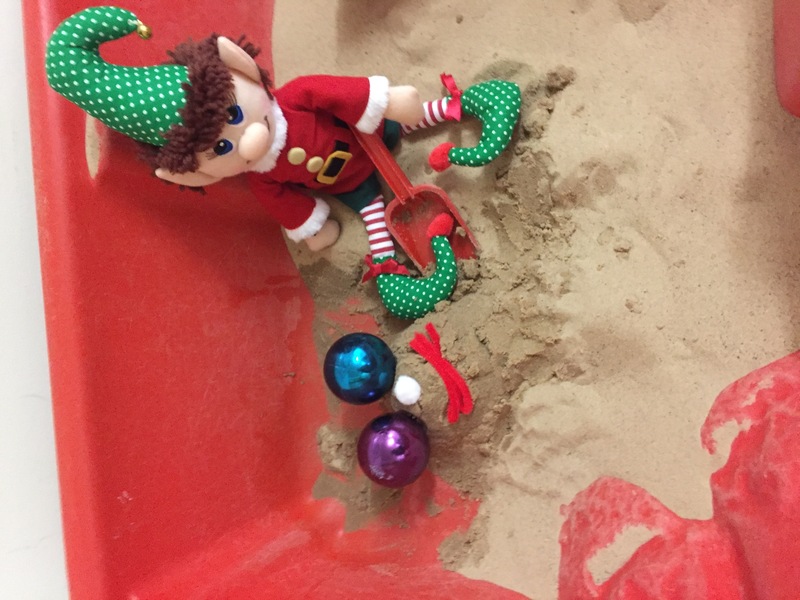 Stay safe everyone, I’m looking forward to hearing all about your snowy adventures soon! 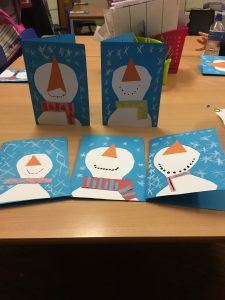 · Build a family of snowmen of different heights, try to build them in order from tallest to shortest. · Make a snow animal. 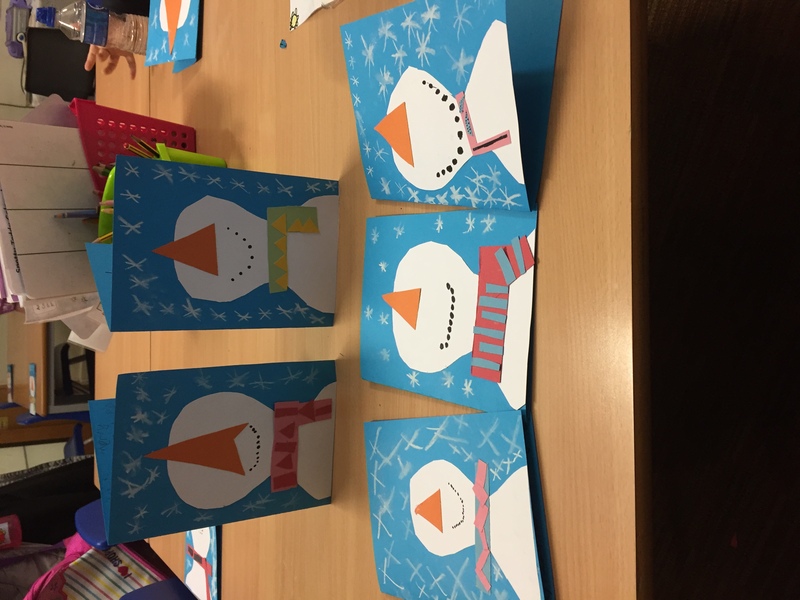 · Make some 3D shapes out of snow – we have learned lots about these in class! · Write a snowy day story, this might be about your snowman family or about an adventure that you have been on in the snow! · Draw a snowy day picture of you in the snow. What are you wearing, could you label your drawing? · Make some paper snowflakes. · Today is World Book Day, could you draw a picture of the character that you were going to dress up as and share a story or two with someone at home? · Put some food out for the birds and watch them coming to eat it up! They will be very hungry in this weather. · Make different patterns and marks in the snow – what different things could you use to make these? Sticks, stones etc. · Help an adult to clear the paths outside your house. 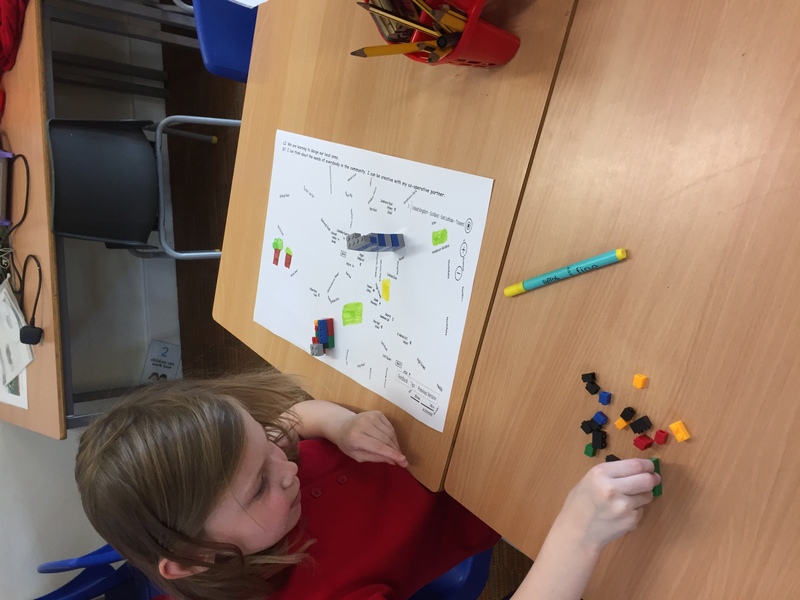 · Go on Topmarks website and choose some maths games to play – see the link to one that we enjoy in class. There are lots of others to choose from too! 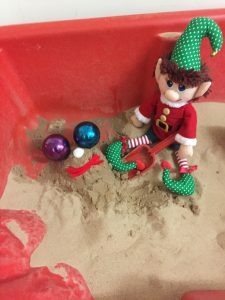 · Practise your overarm throwing with some snowballs – how far can you throw yours compared to someone else? 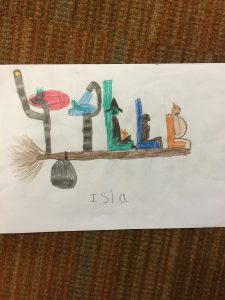 This entry was posted in P1, P2 on March 1, 2018 by misscoventry. I hope you have all been having fun in the snow! Here are a few jobs to keep you busy at home today. Pick any that you would like to do and I can’t wait to hear all about them when we are back at school. – It is World Book Day today! Read one of your favourite stories with an adult at home and tell them why it is your favourite. Who are the characters in the story? What is the setting of the story? – Watch ‘The Snowman’ on YouTube. Build your own snowman and give him a name. Can you write a few sentences about what adventures you could have with him? 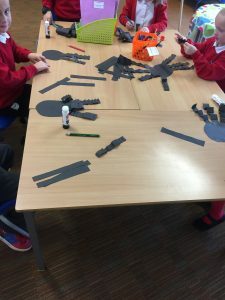 – We have been learning about 3D shapes in class. Can you build some 3D shapes with the snow? You could pick from a sphere, cylinder, pyramid, cone, cube or cuboid. 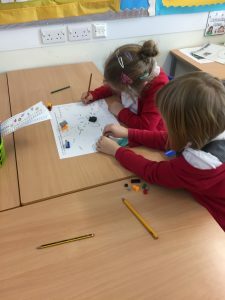 – Writing our numbers is something we always work on in class. Can you write your numbers in the snow? 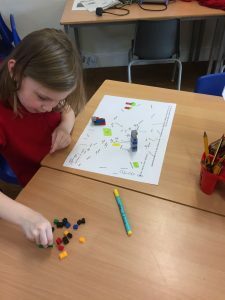 You could even ask an adult at home to write three numbers first for you to finish off, like we do with our partners in class! Make sure all your numbers are walking the right way!! – Go for a walk in the snow with an adult, if it is safe to do so. Try and spot 10 things you wouldn’t usually see. 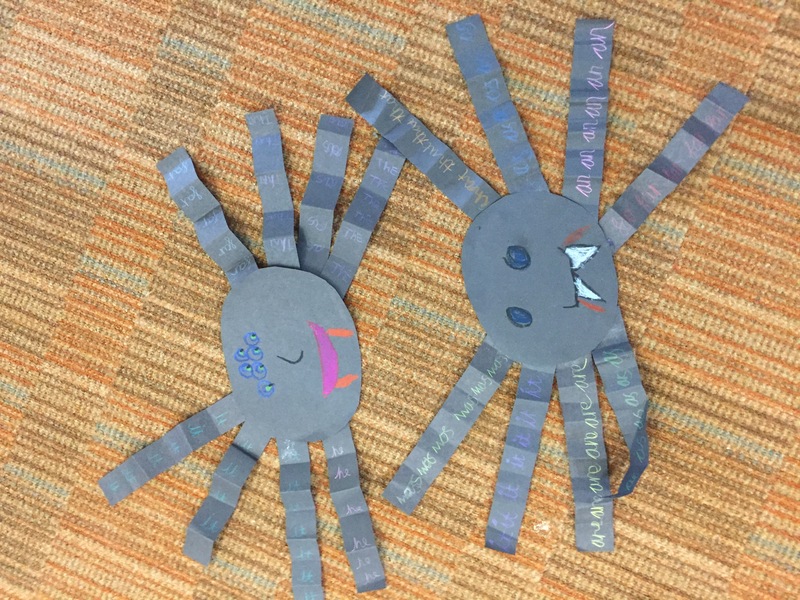 I can’t wait to hear about them – dojo me to tell me! – Help an adult at home to prepare a snack or do some baking if you have the ingredients in the house. – Make a snow day picture with anything you have at home! 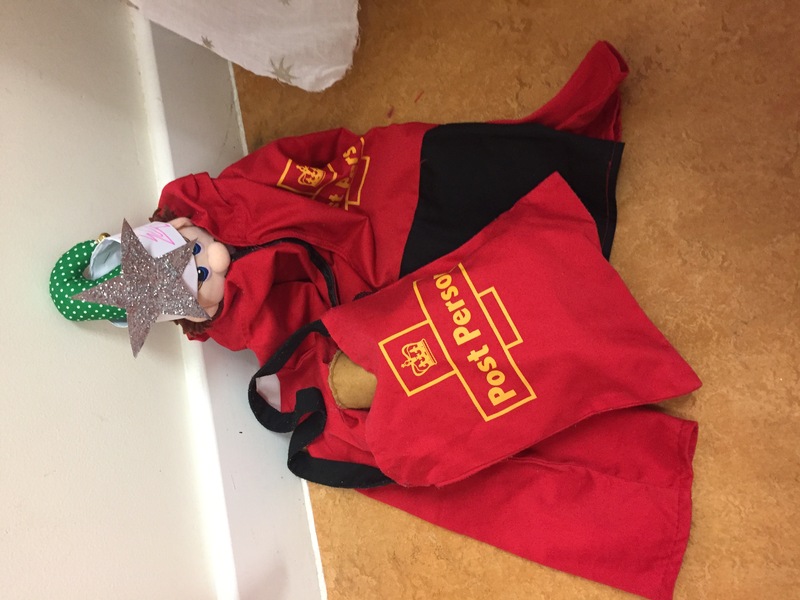 Have fun P2C, if you want you can post to the school Twitter with what you are doing or send me a message on Dojo. Can’t wait to hear all about it! 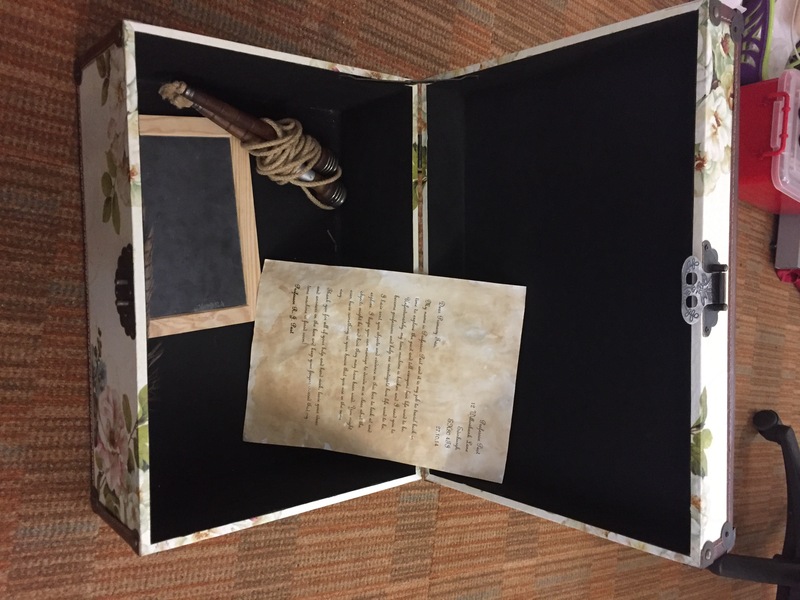 This entry was posted in P2 on March 1, 2018 by misscoventry. 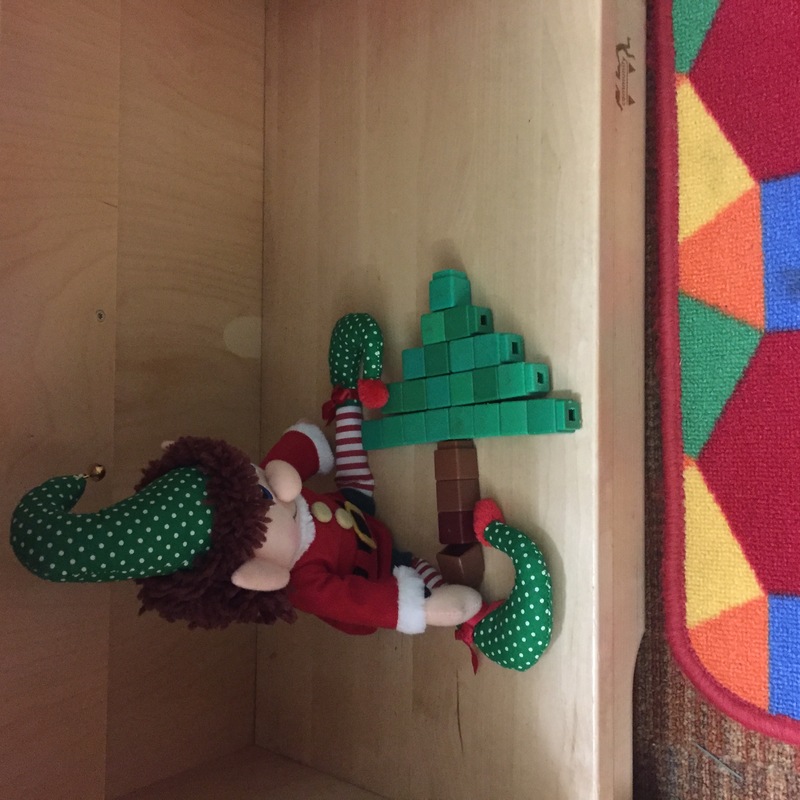 We have been working incredibly hard in class since returning from the Christmas holiday. 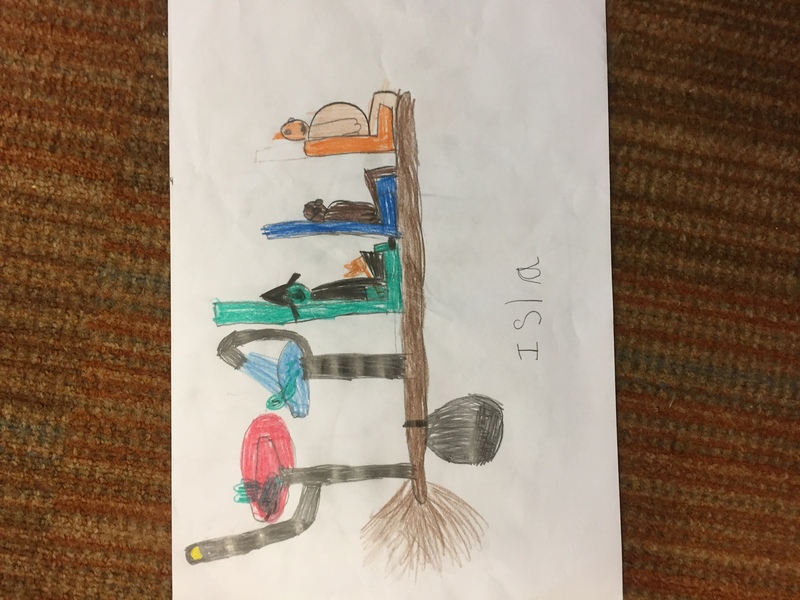 In writing, we are learning about imaginative stories. Ask any of us about a story burger and we will be able to tell you all about it! We all now know the important parts needed to make a good story. In number we are working hard with bigger numbers and are all trying our best with our adding and taking away. Some of us have been looking at fractions too! We know not to panic if we struggle with our learning. Sometimes we fall into the learning pit and that’s okay! On Wednesday something very strange happened. Mrs Wilson delivered a parcel to our classroom that was addressed to us. It even had ‘top secret’ written on it. We were so excited that we had to put our handwriting work away quickly so that we could open it! Inside we discovered a chest. 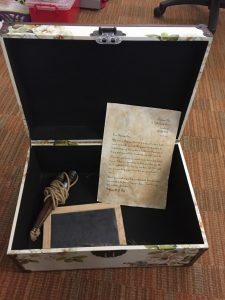 When we opened it we found a letter from a man called Professor Past and some strange looking objects. Poor Professor Past has broken his time machine and needs us to become professors to investigate objects from the olden days! We were so excited to explore the objects he had left for us and hope that he will maybe leave us more things to investigate soon. 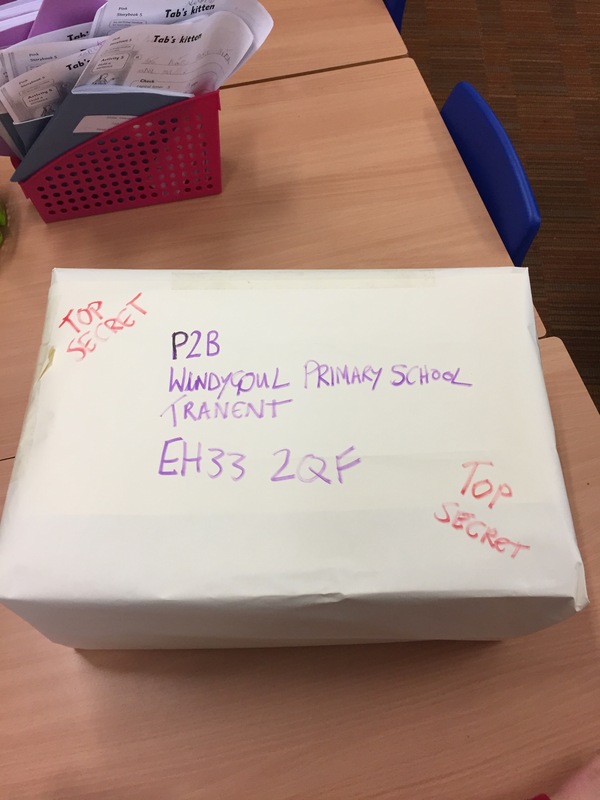 It is all go in P2B…watch this space! This entry was posted in P2B Miss Coventry, Uncategorized on February 2, 2017 by misscoventry. We have had a huge amount of fun in P2B over the past few weeks. 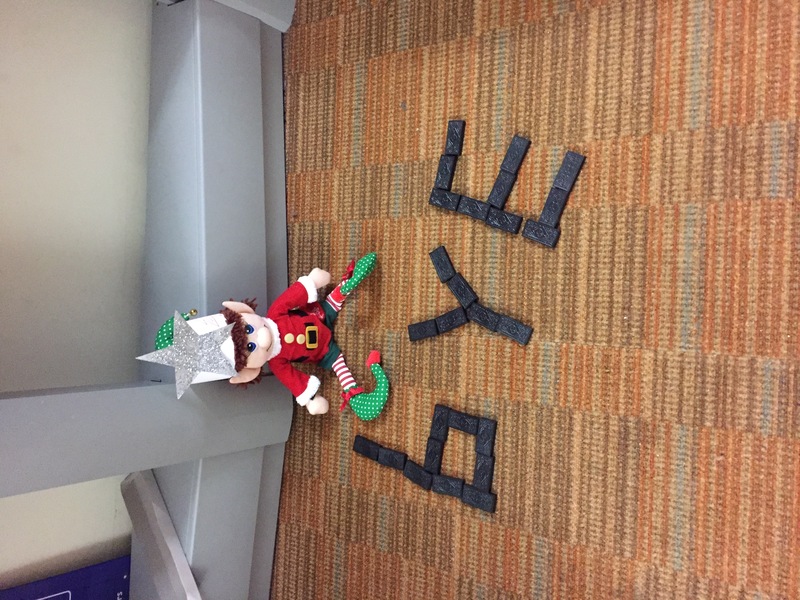 Rehearsals, carol concerts, our party, a pantomime…not to mention the arrival of a very cheeky and mischevious elf! 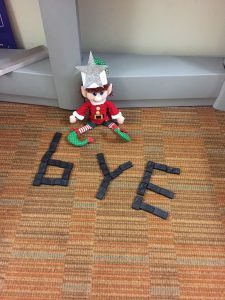 He arrived in our room from the North Pole at the start of December and we said our sad goodbyes to him today. He has kept us amused with his weird and wonderful antics and has even been leaving us jobs to do. Today we had to draw ‘elfies’ of ourselves so that he would remember us when he goes back home. 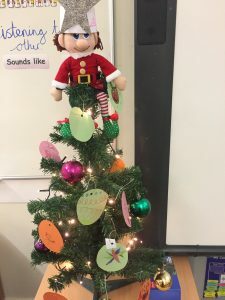 Have a look at some of the different things he has been doing in our classroom over the past weeks. Here are a few more pictures of our fun and activities over the past few weeks, although we have had fun we have still been working hard. Miss Coventry and P2B wish everyone a very merry Christmas and a happy new year when it comes. This entry was posted in P2B Miss Coventry, Uncategorized on December 22, 2016 by misscoventry. P2B have come back smiling after the holidays. 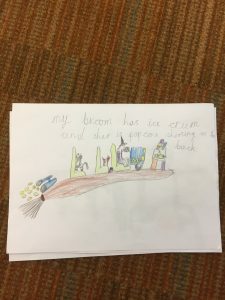 We have been busy learning about the story ‘Room on the broom’ and have been using it to learn about rhyming words too. 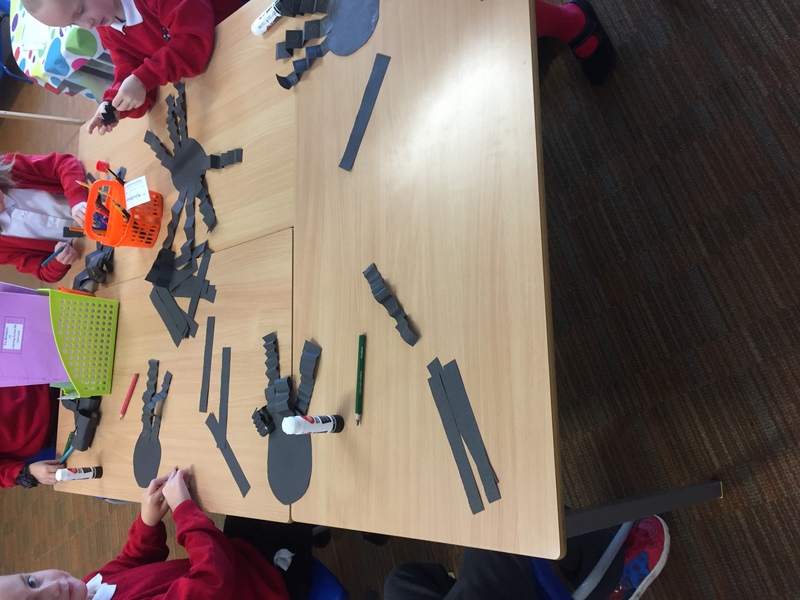 We have even been making spooky spelling spiders using our common words! 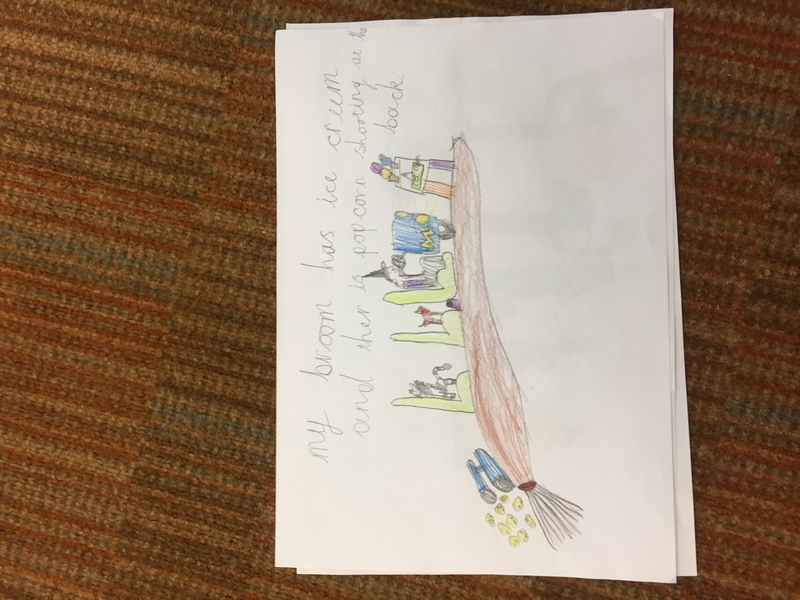 On Wednesday we became broomstick inventors and had to use our imaginations to create a broomstick that would be the best one ever. Some people even had popcorn machines! What do you think about our designs? We have had lots of fantastic learning this week. P2B are looking forward to a busy term ahead! 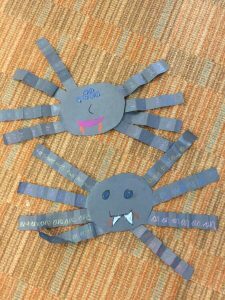 This entry was posted in P2B Miss Coventry, Uncategorized on October 27, 2016 by misscoventry. Me on the Map in P2B! 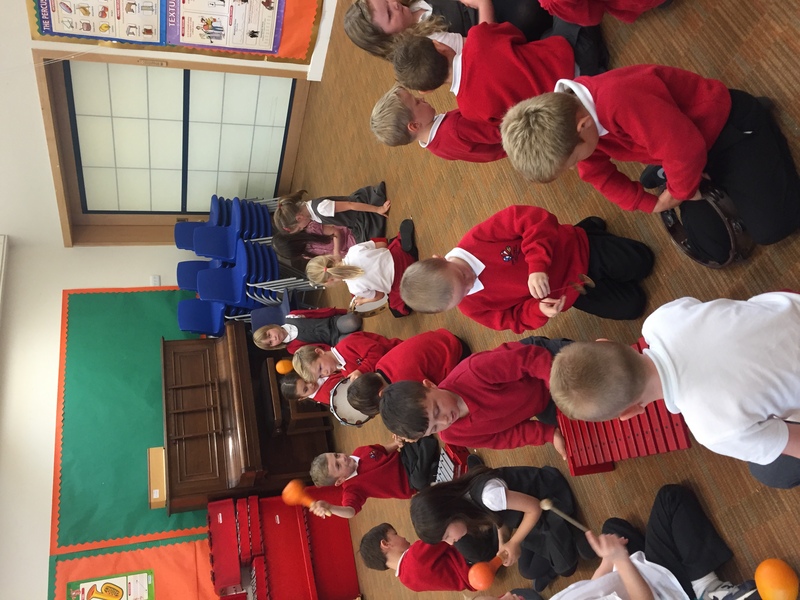 P2B have made a fantastic start to Primary 2 and are all working incredibly hard. We are enjoying mixing with our new classmates and having opportunities to learn with them in different ways. 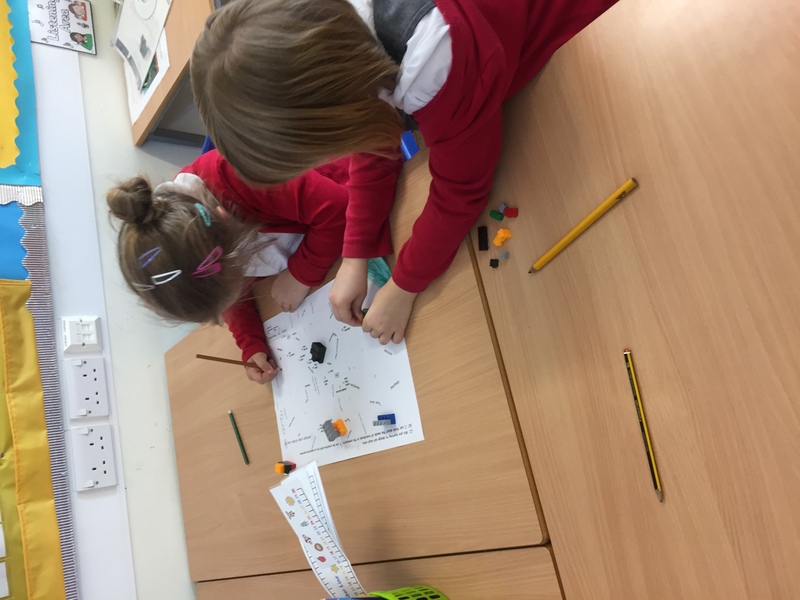 In Numeracy we are working hard on our bonds to 5, 10 and 20 and are also trying to be confident when we are counting backwards. It can sometimes be a bit tricky. 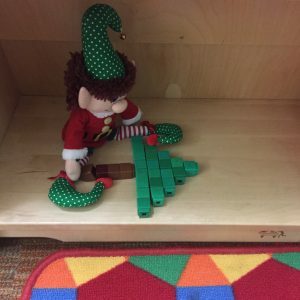 We have found a good song that helps us to learn and also lets us have a dance at the same time! 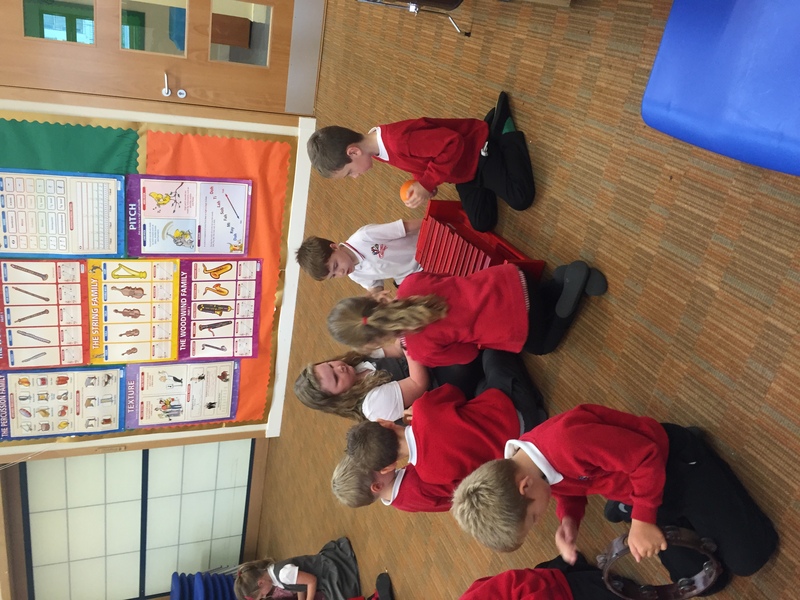 In Music last week, we were using instruments to show how Harvest fruits and vegetables grow. 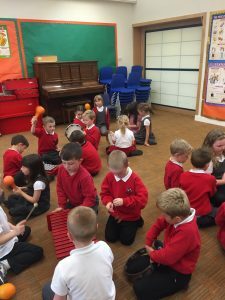 We had to think carefully in our groups to make our music sound like it was growing. 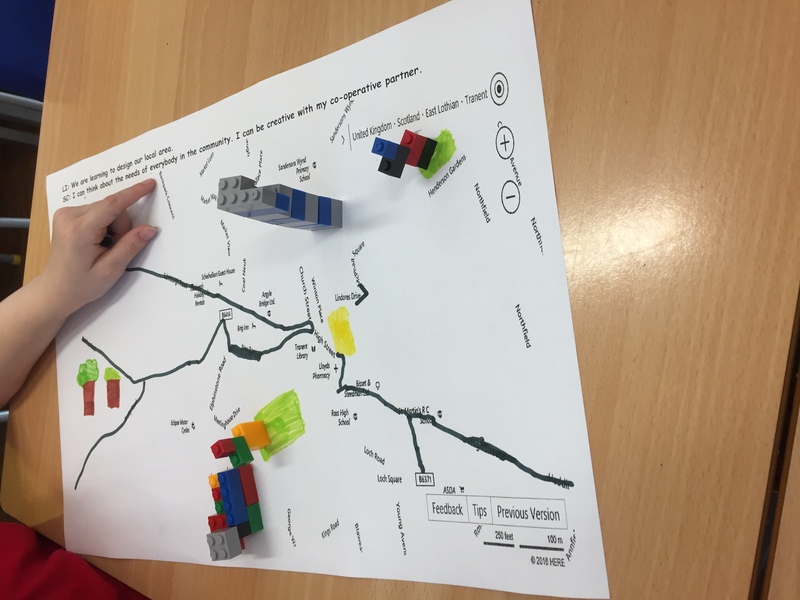 In Topic today, we became town planners! We used all of our learning from this term to recreate Tranent on a map using Lego bricks. 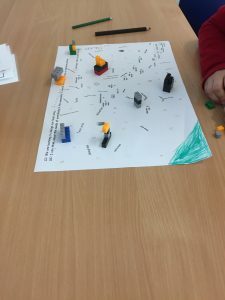 We had to make sure that we used our knowledge of different types of houses to give people a place to live, we had to have open spaces for people to play and we also needed to have places for people to shop and for people to be looked after when they needed it. We hope you enjoy looking at our work in progress! 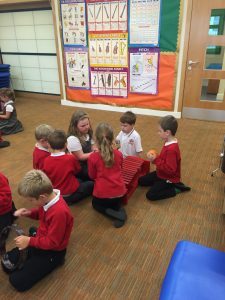 This entry was posted in P2B Miss Coventry, Uncategorized on October 6, 2016 by misscoventry. 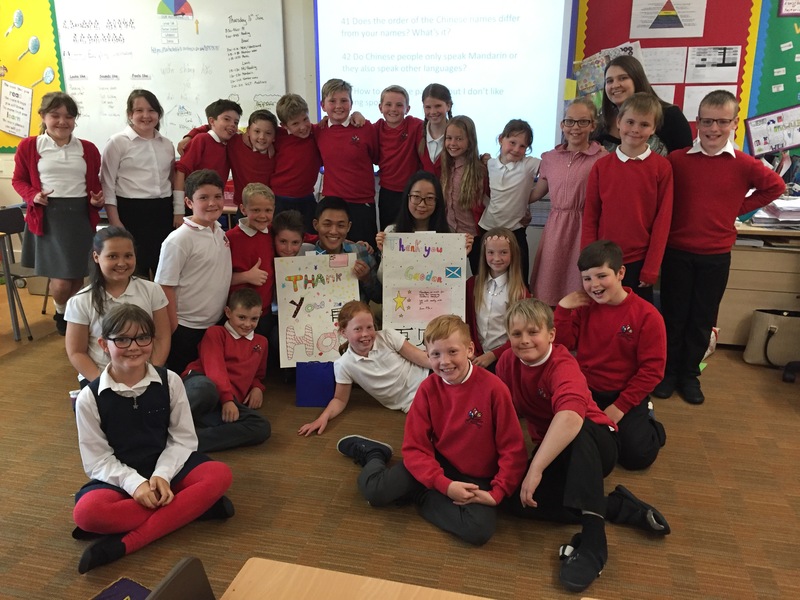 Today we said goodbye to our fantastic Mandarin students, Hao and Gaodan. 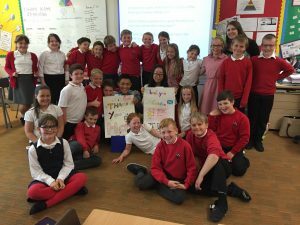 They have been working with P5C since November and the children have made fantastic progress with their Mandarin. We can now say basic greetings, colours, numbers, animals and family members. It was tricky at first but we have all worked incredibly hard to get to the standard that we are at now! Xie xie (thank you) and zai jian (goodbye) Hao and Gaodan! 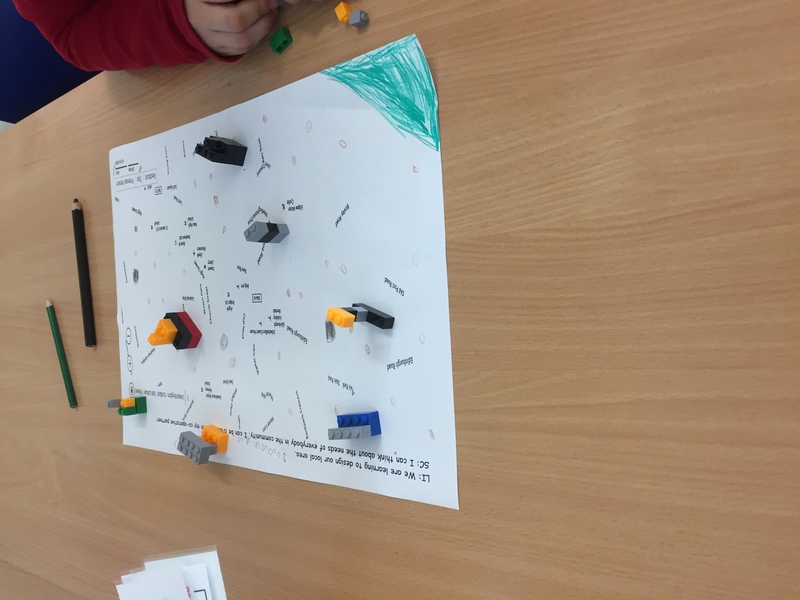 This entry was posted in P5C Miss Coventry, Uncategorized on June 16, 2016 by misscoventry.